Press sample Some of us are blessed with smooth and clear, glowing skin. Most of us, however, are not so lucky. Our skin is plagued with spots from sun damage, bumps and lines. And so we turn to a good skincare regime for help! That’s where the NEW Arbonne RE9 Advanced Brightening Skincare line comes in! 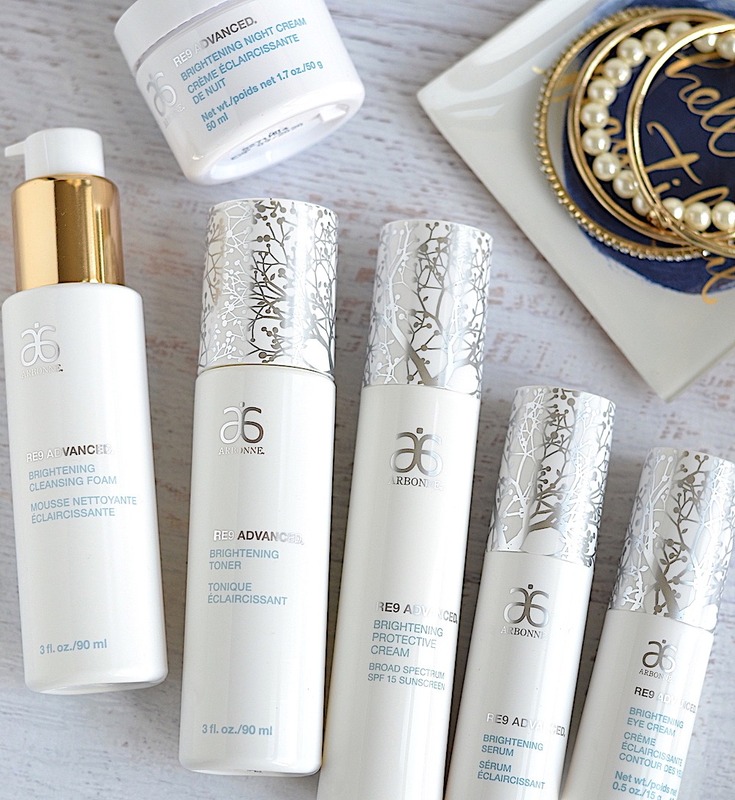 Arbonne RE9 Advanced Brightening Skincare collection was developed to address the specific needs of dull, sallow, uneven skin tone and dark spots. Infused with clean brightening ingredients, the products improve skin tone and texture to restore your natural radiance, as well as diminish the appearance of dark spots, fine lines and wrinkles with twice-daily consistent use. 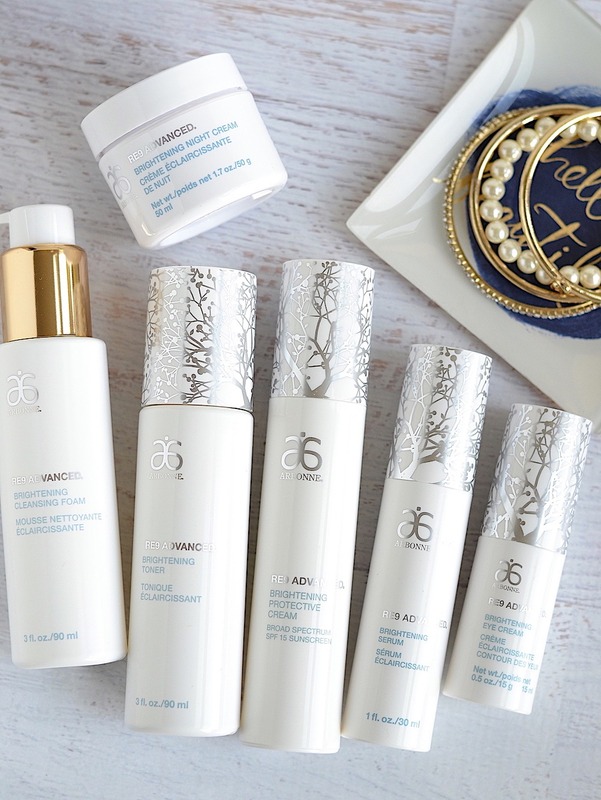 The botanical-based skincare collection consists of 6 high-performing products, featuring a proprietary Sakura Bright Complex created with Ascorbyl glucoside (a stabilized form of vitamin C), cherry blossom extract, licorice root and birch leaf extract. Free of parabens, phthalates, toxic chemicals, animal by-products, synthetic fragrances and dyes, Arbonne skincare is also cruelty-free and vegan. This pearlescent foaming cleanser has a sulfate-free formula that suds just enough to gently wash away dirt, makeup and everyday impurities without stripping skin of its natural moisture. In addition to the SakuraBright Complex, the formula also contains cucumber, watercress and red clover extract to soothe skin. You know how some foaming face washes can leave your skin feeling dry or tight…not this one! It cleans and refreshes while being gentle on my dry, sensitive skin. This is an alcohol-free toner to finish your cleansing routine while prepping your skin for the next step in your skincare regime. It not only refreshes the skin but also gently exfoliates with prickly pear flower extract, leaving it smooth and soft. No need to rinse off! This concentrated serum has a vitamin C rich formula with the SakuraBright Complex of cherry blossom, ascorbyl glucoside and licorice root extract that work synergistically to target the appearance of dark spots and uneven pigmentation from sun damage. Plus, it contains antioxidants and beet root extract for a healthy dose of hydration. Besides its brightening benefits, I love the silky-smooth feel of this serum and how it gives my skin that natural lit-from-within glow! Not to mention, it’s lightly fragranced with a sparkling rose scent derived from natural botanicals and essential oils. 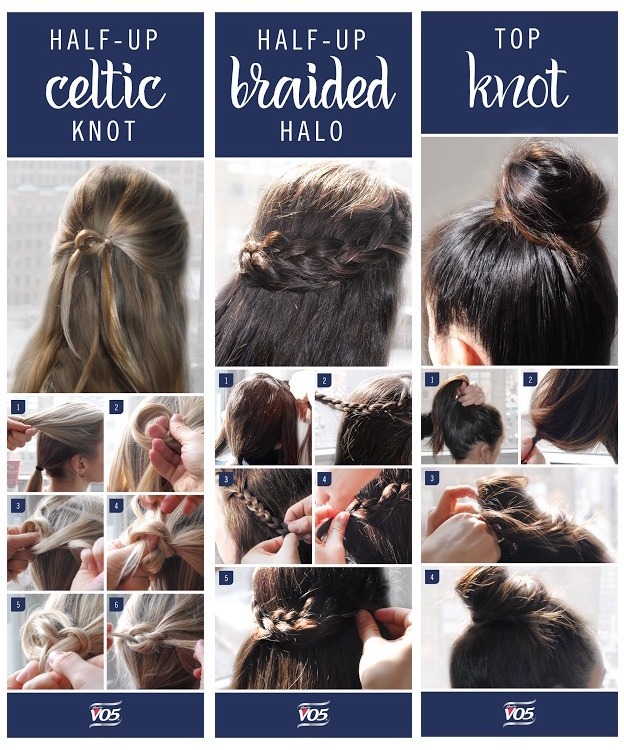 I am totally hooked! 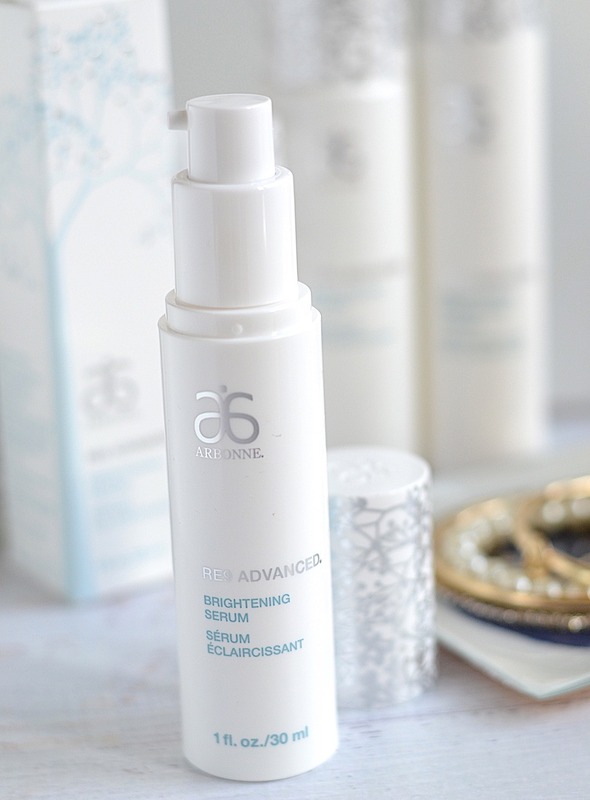 Packed with the goodness of stabilized vitamin C in SakuraBright Complex and caffeine, the RE9 Advanced eye cream is designed to reduce the appearance of dark circles, puffiness and fine lines with consistent use. It also moisturizes and soothes sensitive skin around the eyes with a blend of botanical extracts, Olive squalane (rich in omega 3 and 6 fatty acids) and vitamin E.
This eye cream does a really good job of moisturizing my under eye area without a heavy or greasy feel. 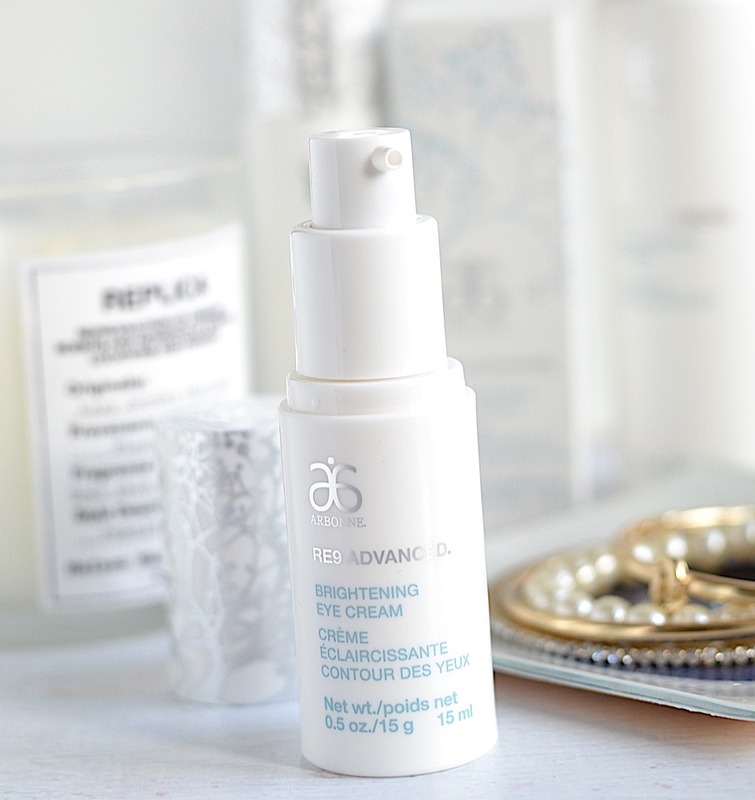 It also nourishes and smooths instantly, making my eyes look less tired than they really are! 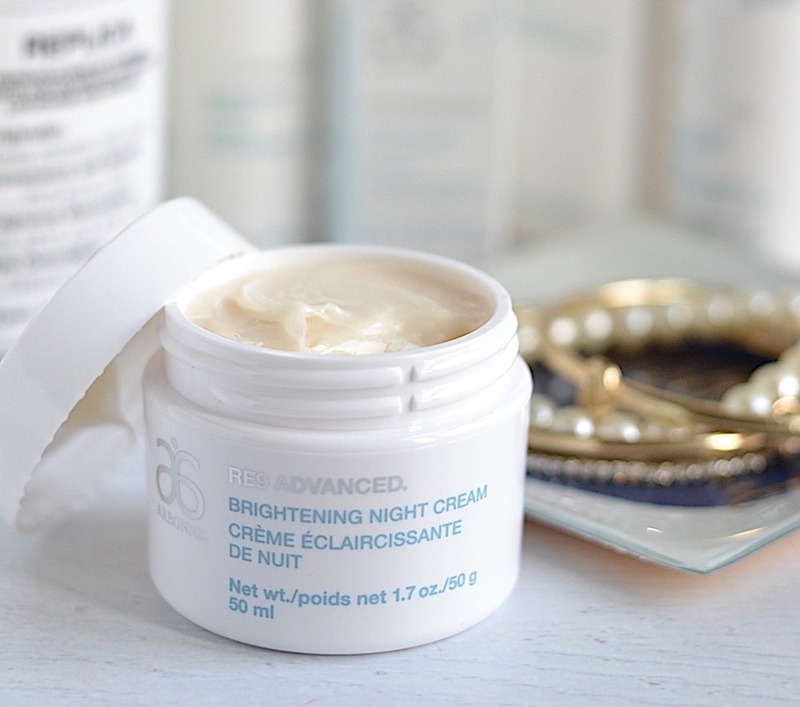 My dark circles need all the help they can get, so this brightening eye cream has been a great addition to my skincare arsenal. It has the same SakuraBright Complex with a cocktail of brightening ingredients while antioxidants (like Japanese pagoda tree flower extract) provide added sun protection. Formulated with the mineral sunscreen zinc oxide, it’s suitable for all skin types including sensitive. The formula has an elegantly lightweight texture that doesn’t leave a chalky or greasy white cast and blends very quickly. It offers just the right amount of hydration and provides a smooth base for my makeup to glide on easily. My only gripe is that it’s only SPF 15…wish it was at least SPF 30 or higher! 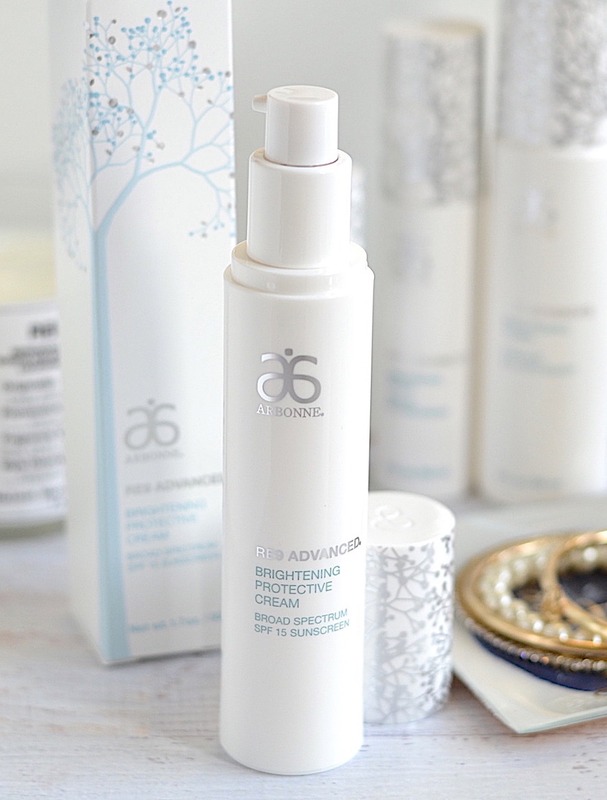 Along with the SakuraBright complex, this deeply nourishing night cream boasts an ultra-hydrating blend of botanicals including shea butter, sunflower seed and oat kernel extract…just to name a few! It works overnight to soothe, repair and revitalize dull, lackluster skin while replenishing moisture. I love the luxuriously rich texture of this cream that feels so good! Also, it has a soft rose scent that makes it all the more pleasing! And a little goes a long way. With this beautifully formulated night cream, waking up to soft and supple, glowing skin is just a good night’s sleep away!